Grace Bay Beach at Club Med Resort. 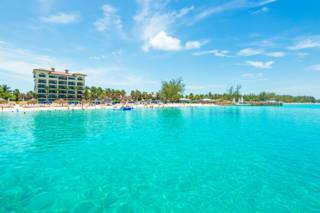 The expansive Beaches Turks and Caicos resort. The Turks and Caicos is home to a quite a few all-inclusive resort options, which are found across several of our islands. There are generally two types of all-inclusive resorts in the Turks and Caicos; the large all-inclusive only resorts such as Sandal’s Beaches Turks and Caicos and Club Med Turkoise, and several smaller hotels and resorts which offer all-inclusive packages in addition to the typical resort stays. Three of the luxury resorts on Providenciales that offer all-inclusive packages, Alexandra Resort, Blue Haven Resort, and Beach House Turks and Caicos, allow guests to share amenities and restaurants across all three resorts. Complimentary transport is provided between the sites as well. When deciding which type of resort to stay at, a major consideration should be how you’d like to spend your vacation. The daily all-inclusive rates are typically much higher than normal room rates, yet dining and drink expenses add up fast. If lounging at the beach or pool and convenient dining sounds like the ideal way to spend most of your vacation, you may be best served with an all-inclusive. If you’d rather get out and explore our islands, beaches, coasts, and attractions, the traditional resort stay will likely make more sense cost-wise. Water sports at Club Med Turkoise resort. 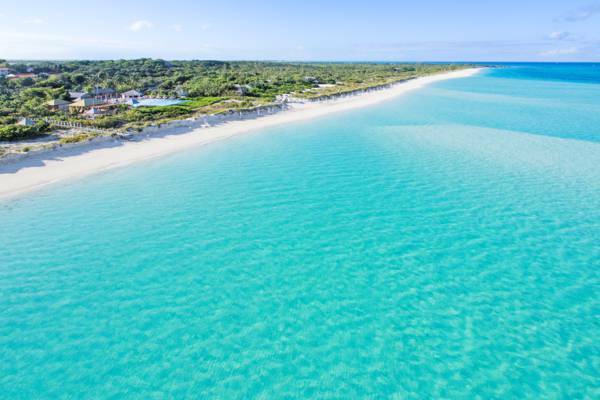 There are several inhabited islands in the Turks and Caicos, and each offers a unique blend of atmosphere, beaches, and levels of development. 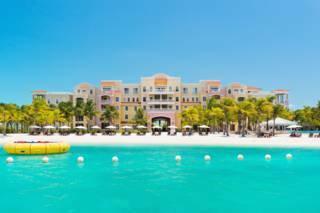 The island of Providenciales, where the majority of the development in the Turks and Caicos is located, is home to most of the all-inclusive resorts. There are three expansive resorts that only offer all-inclusive stays; Beaches Turks and Caicos, Club Med Turkoise, and the secluded Amanyara Resort. There are also a few smaller luxury resorts that provide all-inclusive packages in additional to the conventional nightly rate arrangement. 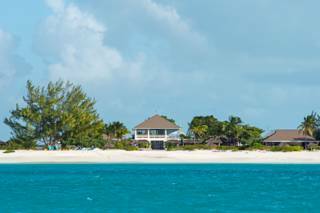 Two small private islands located between Providenciales and North Caicos each have a single exclusive all-inclusive resort. Parrot Cay is home to the Parrot Cay Resort, and Pine Cay has the Hemingway-esque Meridian Club. Grand Turk has one small resort with an all-inclusive option: the Bohio Dive Resort. This resort offers packages for both divers and non-divers. Dinner, beverages, and gratuities are not included. 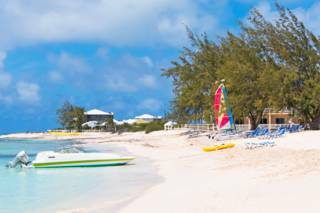 The all-inclusive resorts often have an array of amenities to compliment the unparalleled beaches and marine environment of the Turks and Caicos. Many resorts maintain a collection of water sports equipment, which typically includes small Hobie Cat sailboats, ocean kayaks, stand up paddle boards, and windsurfers. Club Med and Beaches also provide a number of boat cruise, snorkelling tour, and scuba diving trips, most of which may be taken at no additional charge. The list of things to do at Beaches is quite impressive, especially for children. There are six swimming pools, a water park with pirate ships, water cannons water slides and a lazy river, live entertainment, and game arcades. For grownups, there is the spa and boutique shopping. The concierge desk at the resorts are also able to arrange offsite activities, such as golf at the Provo Golf Club, horseback riding on the beach, and island tours. Club Med provides lessons and support for a great collection of sports both on water and land. Their “sports schools” cover many water sports, trapeze, tennis, beach volleyball, football, and fitness. The exclusive and secluded Parrot Cay Resort. The dining options of an all-inclusive are another important consideration, and vary according to each accommodation. With 19 restaurants, Beaches Resort leads with the dining and drink options and policies. There are no set dinner times, and you may choose any restaurant you’d like. There’s no additional charge for premium spirits. There’s a wide array of cuisines represented and dining atmospheres. The other Providenciales resorts have varying dinner policies and drink inclusions. Most include all meals and drinks, yet some do not. The all-inclusive packages at Parrot Cay Resort and Meridian Club on Pine Cay typically do not include drinks and beverages. Many of the larger resorts on Providenciales offer eco kid’s camps and day care services. The educational camps explore sea turtle tagging, paddling adventures in the marine wetlands, scuba diving training, and guided snorkel tours. Beaches Turks and Caicos goes beyond with an expansive water park, game arcades, Sesame Street performers, kid-friendly restaurants, and live entertainment shows. 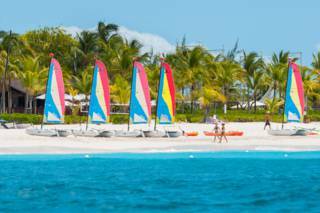 Club Med on Grace Bay Beach is the single adult-only resort in the Turks and Caicos. Several resorts have restaurants and bars restricted to adults, yet the rest of the resorts are open to children and families. If you’d like to experience the amenities of an all-inclusive, consider purchasing a day pass. Beaches Turks and Caicos and Club Med both offer such passes. 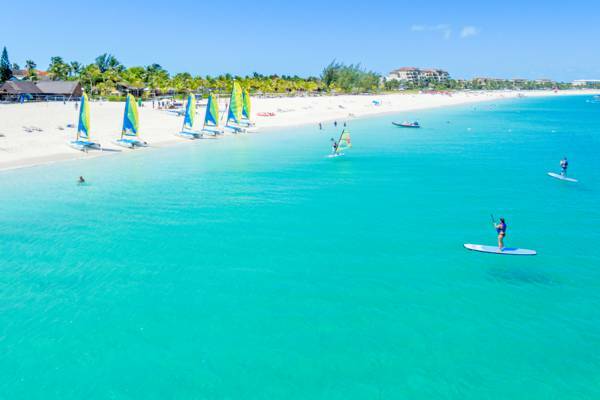 Club Med offer a great selection of water sports, and the day pass can be a great value if you’d like to try Hobie Cat sailing, windsurfing, or paddle boarding. Due to limited availability, the Beaches rate is a pricey $640 per adult, and $270 for kids. Club Med’s day pass ranges from $60-80 per person depending on the season. 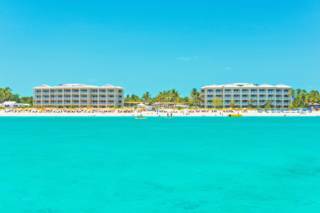 The tranquil Alexandra Resort is centrally located on the beautiful Grace Bay Beach on Providenciales. Choose from studios, 1, 2, and 4 bedroom suites. There’s a wide range of complimentary water sports and luxury amenities for the perfect stay. 21 luxury suites are situated right on the western end of Grace Bay Beach. Complimentary kayaks, paddle boarding, and Hobi-cats are included. Blue Haven Resort and Marina is a luxury property located in the tranquil Leeward region of Providenciales. Blue Haven is the first and only resort and marina in the Turks and Caicos Islands, and features a small private beach. 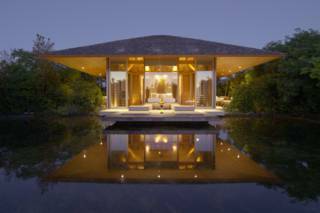 Located on the remote and secluded west coast of Providenciales, the exclusive luxury Amanyara Resort is bordered on one side by Malcolm Roads Beach and on the other by the Frenchman’s Creek Nature Reserve. A beautiful beach (albeit a little rocky) and low limestone cliffs front this resort, and reefs can be found nearby. 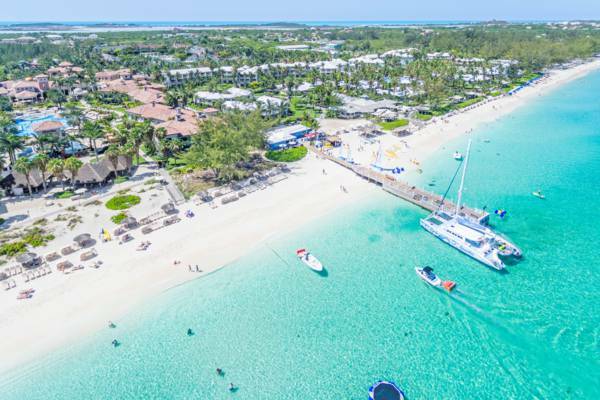 By far the largest and the only family-oriented all inclusive in the country, Beaches Turks and Caicos offers a truly impressive spectrum of activities, water sports and dining options. Located on the west end of Grace Bay Beach, the reefs off the Bight Beach are within walking distance. Unlimited diving is included with your stay at Beaches. This dive resort offers twelve rooms and four suites on the secluded Pillory Beach. An excellent choice for divers, this resort offers boat and shore diving, PADI courses, water sports and more. The oldest still-operating hotel in the Turks and Caicos, Club Med is also the single adults-only all inclusive. Geared to those that love the nightlife and active lifestyle, a wide array of water sports and entertainment is offered here. 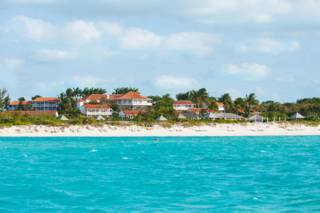 Club Med is situated on the excellent eastern end of Grace Bay Beach. Dive packages are available. The Meridian Club is a unique and laid-back resort on the private island of Pine Cay, and is ideally-situated on a spectacular and secluded beach. This small resort offers a poolside restaurant, a spa, and a wide array of outdoor activities. Although not actually on Providenciales, Parrot Cay Resort should be considered as one of the all-inclusive options. Located on the small island of Parrot Cay eight miles northeast of Providenciales, this resort offers seclusion and luxury. A little limited in watersport options, the tranquility and beauty of the privately owned island is exquisite.